AmaZulu have confirmed that their Telkom Knockout clash against Orlando Pirates will be played at Moses Mabhida Stadium. 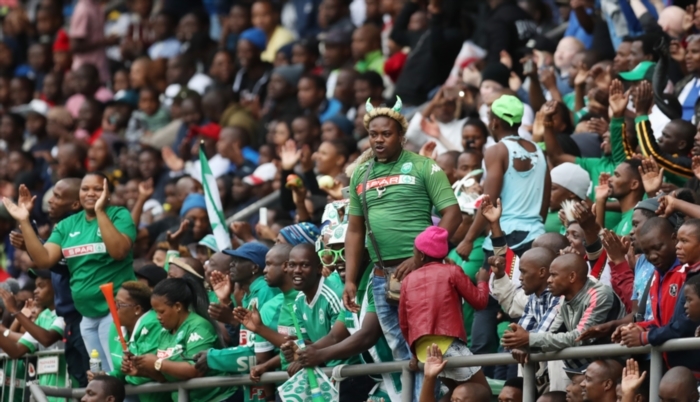 Usuthu, who play their home matches at King Zwelithini Stadium, say the fixture was moved to the venue after the sponsors, Telkom, requested it to be moved to a bigger venue for brand activation purposes. AmaZulu booked their spot in the last 16 stage of the cup competition by beating Cape Town City 2-0 at the King Zwelithi Stadium. “Our Telkom Knockout Quarter Final home match against Orlando Pirates will be played at Moses Mabhida Stadium on Saturday, 3 November at 18:00 as has been announced by PSL and the sponsor,” read a tweet from AmaZulu. AmaZulu was informed of the intention to take the match to Moses Mabhida Stadium on 25 October after advancing past the last 16 stage with a 2-0 win against Cape Town City at King Zwelithini Stadium. Usuthu has three home grounds, King Zwelithini Stadium, Princess Magogo Stadium and Moses Mabhida Stadium, by order of preference. Telkom has requested a bigger venue which has a spacious precinct that would allow them better brand activation for their Summer of More campaign.